Hi, probably too late now but our washing machine, same make and model did the exact same thing. I am a qualified electrician and spent some time working out the wiring as Beko won't give the diagrams to you. 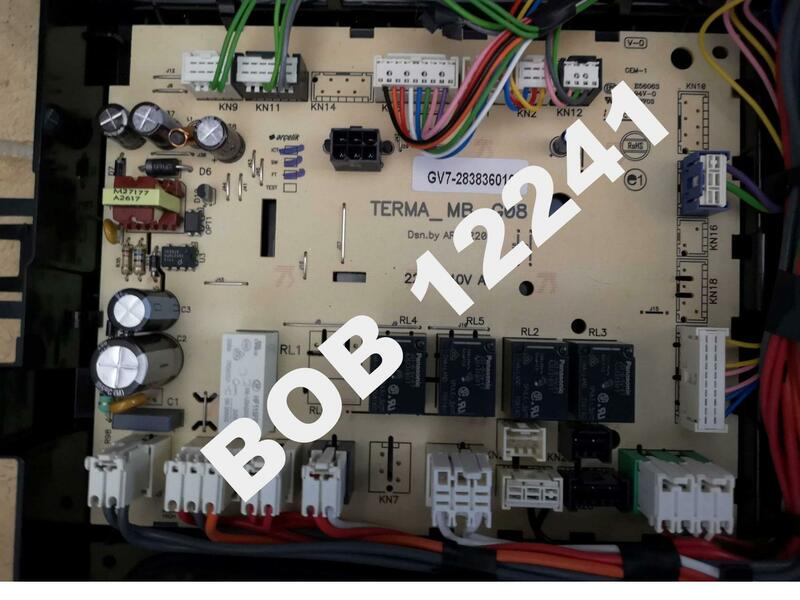 I found that the circuit board on the left hand side (when viewed from the rear) is the motor speed controller (inverter), this was ok as the fault was not related. The front PCB had no lights on, but if you looked carefully I occasionally noticed that the Blue selector switch Led's were lit but very dull. The circuit board at the rear RH side is the main power supply and distribution/controller board. I found I had 240v at the input to the board but couldn't find any voltages elsewhere. I took it out and did some tests, I found a diode had blown, after replacing this with an uprated diode everything was working. Total cost £2.05 with express delivery included. I have pics of the boards and location of the diode if required. EDIT Picture of mainboard attached. Diode that had blown was D7 located just above and to the left of the transformer in at least 2 cases. Board is located at the rear on the bottom right hand side when viewed from the rear. Diode rated at 100v 1A, changed for 100v 2A, I chose a STPS2h100 as its size was the same. Hi, probably too late now but our washing machine, same make and model did the exact same thing. I am a qualified electrician and spent some time working out the wiring as Beko won't give the diagrams to you. I found that the circuit board on the left hand side (when viewed from the rear) is the motor speed controller (inverter), this was ok as the fault was not related. The front PCB had no lights on, but if you looked carefully I occasionally noticed that the Blue selector switch Led's were lit but very dull. The circuit board at the rear RH side is the main power supply and distribution/controller board. I found I had 240v at the input to the board but couldn't find any voltages elsewhere. I took it out and did some tests, I found a diode had blown, after replacing﻿ this with an uprated diode everything was working. Total cost £2.05 with express delivery included. I have pics of the boards and location of the diode if required.